Situated at 100m above sea level in the Spanish Pyrenees is a remarkable vineyard set up by Miguel Torres’ long-serving technical director, Raül Bobet. Ekam is Riesling fermented in ancient, gravity fed, granite vessels carved into the rock and this has a profound effect on this wine. The aromas have a striking grapefruit and kerosene character which follows onto the palate which combines the fruit flavours with a multi-layered texture of stones, minerality and a touch of smokiness. This is a wine that refuses to be a wall-flower but at the same time is precise, pleasurable and engaging. 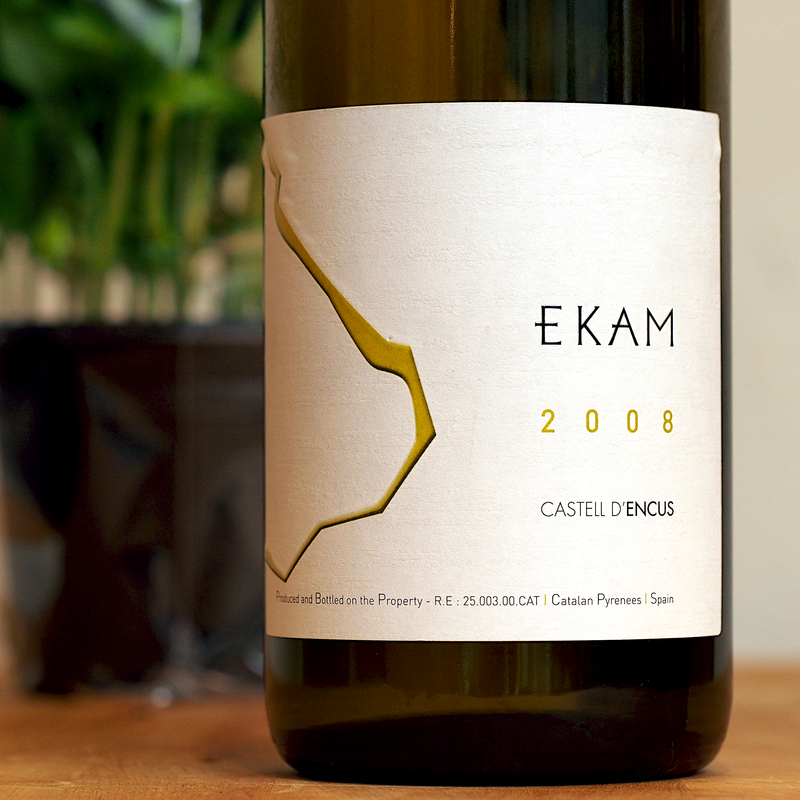 Ekam balances bold dryness and a good weight with concentrated fruit, mostly grapefruit, and a very long length. At 5 years of age on tasting this wine is still youthful and vibrant. It doesn’t seem to carry much (if any) residual sugar and relies on depth and personality. The over-riding character is the grapefruit and minerality with the fruit is always to the forefront. This is a wine we’d want to taste over the next few decades just to see it develop and unlock it’s potential. Well worth seeking out. 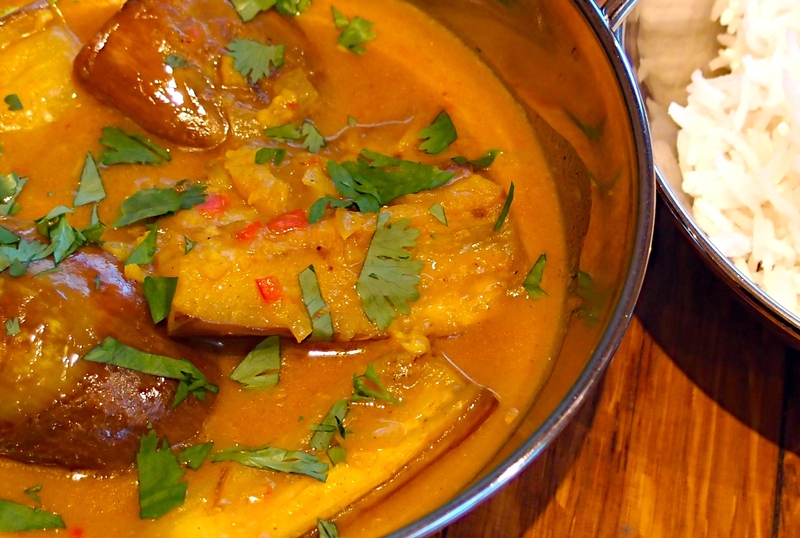 This is a really straightforward curry and we are glad to say it didn’t disappoint. The aubergine melts in the mouth and the spices are lovely and fresh as well as warming and comforting. Also takes no time at all to make. Mix the turmeric and chilli powder together and rub it all over the aubergine wedges. Don’t worry if it look like a lot of spices – it works! Heat olive oil in frying pan and brown aubergine in batches, setting the aubergine aside when done. Add the paste, sugar and shallots to pan and cook for a few minutes until the shallots and garlic soften. Return aubergine to pan. Add fish sauce, coconut milk and stock, mix well and bring to the boil. 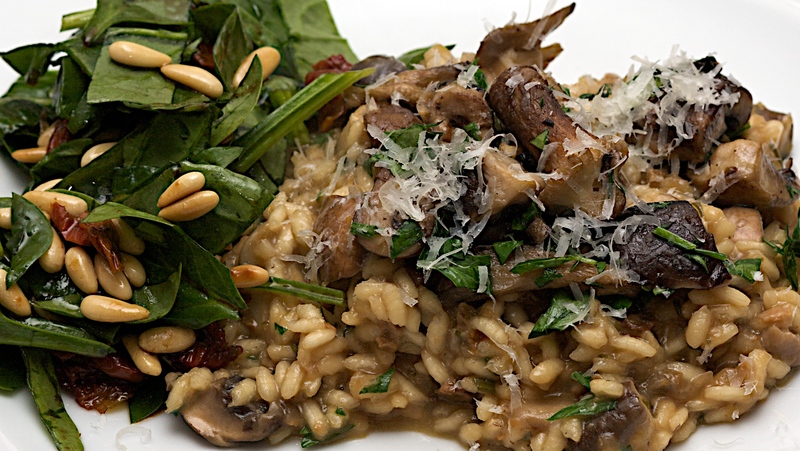 Reduce heat and cook gently for about 15 minutes and until aubergine is tender but not mushy. Season and sprinkle coriander on top. 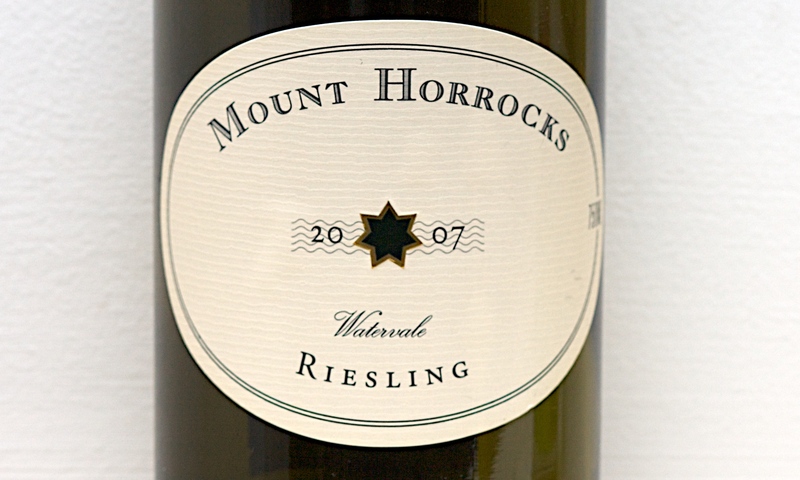 Drink with: a aged Clare Valley riesling (at least 5 or six years old) or a fruity young Mosel Riesling. So good that our friend’s David & Nicola fed this to their two-year old son Theo and he had seconds! We had trouble with the pastry, but the humid day really didn’t help. If you’re having trouble put the pastry in the fridge after bringing it together in the food processor to keep it cold, it will really help. We served this at a French-themed dinner party where everyone brought a course and a complimentary wine to go with it. There was Quiche Lorraine for starter, leg of lamb roasted with lots of garlic and served with dauphinoise potatoes, an apple tarte tatin and some French cheeses. We are now all on a diet! For the pastry, put the flour, butter, egg yolk and 4tsp cold water into a food processor. Use the pulse button to process until the mixture binds. Tip out onto a lightly floured surface, gather into a smooth ball, then roll out as thinly as you can. Line a 23 x 2.5cm loose-bottomed, fluted flan tin with the pastry. Trim the edges with scissors so it sits slightly above the tin – this way it will not shrink below the level of the tin (don’t throw the trimmings away yet). Press the pastry into the flutes, lightly prick the base with a fork, then chill for 10 minutes. Put a baking sheet in the oven and heat oven to 200C/fan 189C/gas 6. Line the pastry case with foil, shiny side down, fill with dry beans and bake on the hot baking sheet for 15 minutes. Remove the foil and beans and bake for another 4-5 minutes until the pastry is pale golden. If there are any small cracks or holes use your pastry trimmings to patch them. This part can be done the day before. Heat a small frying pan and fry the pancetta for a couple of minutes. Drain off any liquid, then continue cooking until they start to colour, but aren’t crisp. Remove and drain on paper towels. Cut three quarters of the cheese into small dice and finely grate the rest. Scatter the diced cheese and pancetta over the bottom of the pastry case. Using a spoon, beat the crème fraîche to slacken it then slowly beat in the double cream. Mix in the beaten eggs. 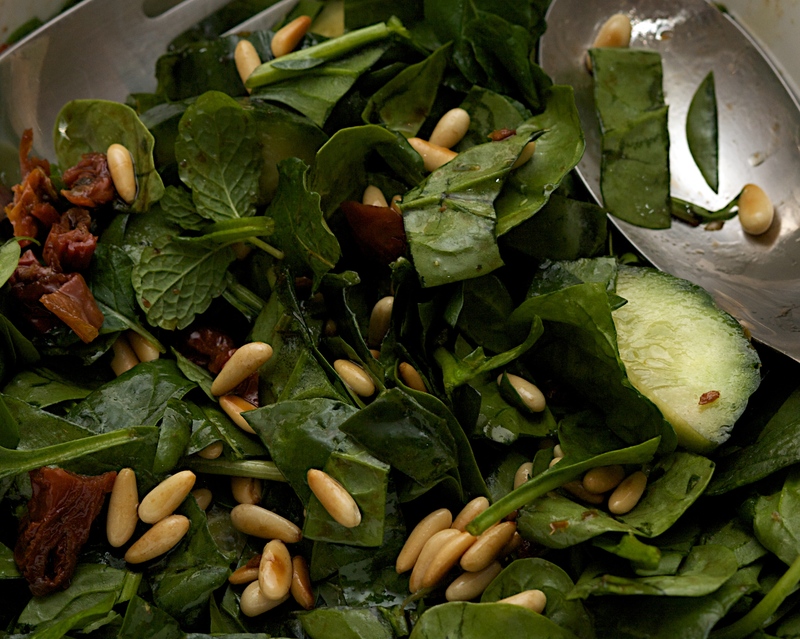 Season, but go easy on the salt, and add nutmeg. Pour three-quarters of the filling into the pastry case. Half-pull the oven shelf out and put the tin on the baking sheet. Quickly pour the rest of the mixture into the case – so you get it right up to the top. Scatter the grated cheese over the top, then carefully push the shelf back in. Lower the oven to 190C/fan 170C/gas 5. Bake for about 25 minutes, or until golden and softly set (the centre doesn’t need to be too firm). Let it settle for 4-5 minutes before removing from the tin. Wine Suggestion: it is quite hard to match egg dishes with wine, but the addition of the cream, crème fraîche and pancetta helps. You need to balance the saltiness from the pancetta and the creamy and rich filling; so a white from Alsace with a touch of sweetness balanced by fresh acidity is a good match. We had a Clos Saint Landelin Grand Cru Vendange Tardive Riesling from 2001 – this is a late harvest wine that in most years is very sweet, but in 2001 had great fruit but ended up being just off-dry. 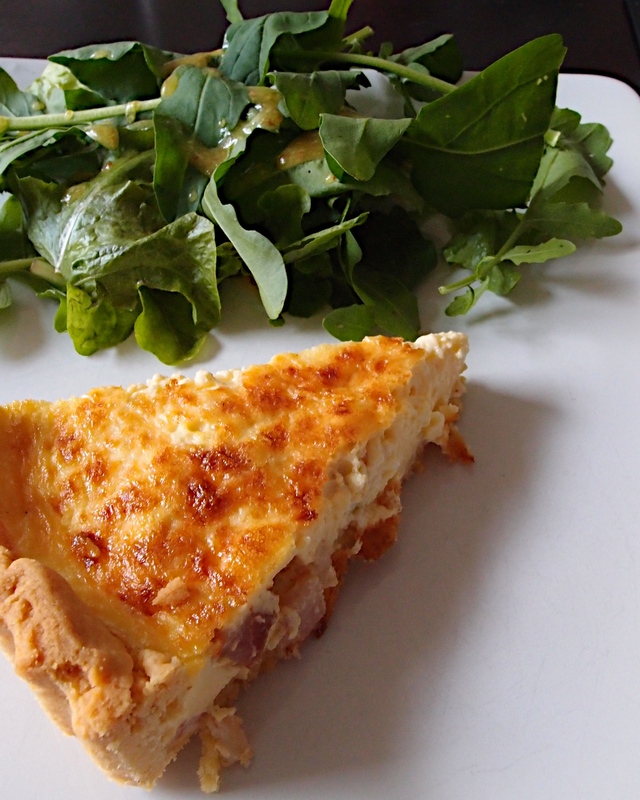 With a beautiful balance of acidity and a mellowness from 10 years of age this worked a real treat and had layers of flavours that complimented the quiche superbly. We were so enamoured by the Keralan Prawns two nights ago we looked for more lighter Indian dishes and found these in our newest cookbook: “I love Curry” by Anjum Anand. We admire Anjum’s style as she makes traditional dishes lighter, but never loses flavour or authenticity; these are no exception. As with all Indian dishes (and any other that we cook when we have the time) we like to prep the ingredients before we start cooking. It really helps in this case; the recipes aren’t difficult but there are many elements and sometimes quick additions with the spices. We have little bowls to gather each bit together which makes it easy. 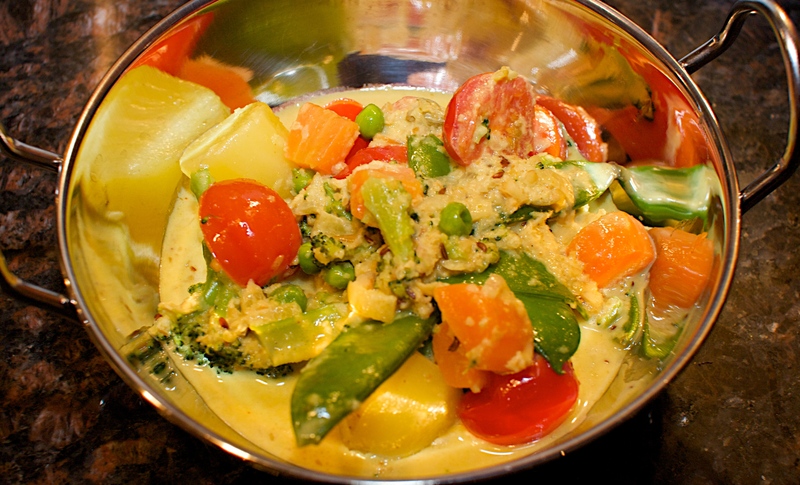 Our other suggestion is to blanch the vegetables for the Curry, then prepare the rice. As the rice simmers you can then prepare the rest of the curry. Bring a pot of salted water to the boil and add the potatoes. After 5 minutes add the carrots and cook for another 5-10 minutes until cooked. Scoop out the potatoes and carrots and add the broccoli and then 3 minutes later the mangetout and peas. After a minute drain and set aside. Heat 1 tsp of oil in a small pan and fry the almonds until nice and golden. Crush straight away in a pestle and mortar to a fine powder. Heat the rest of the oil in a large non-stick saucepan and add the cloves, cardamom and caraway. After 20 seconds add the onion until starting to turn golden at the edges. Scrape in the ginger and garlic pastes and saute gently for 1-2 minutes until the garlic is just golden. Add the ground spices and yoghurt and bring to the boil, stirring constantly. Cook for 5-8 minutes until the oil separates out. Add 250ml of water and bring to the boil. Simmer gently for 10-12 minutes. Add the blanched vegetables, salt, cream, tomatoes and crushed almonds. Cook for a few minutes until it all comes together. 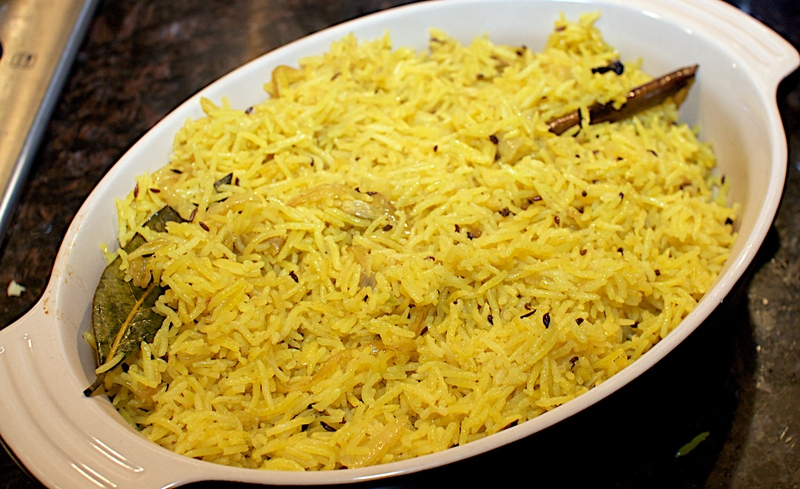 Check the seasoning and serve with Indian bread or the pilaf below. Tip the rice into a large bowl, cover with water, and leave to soak. (If you’re cooking the curry then prep and blanch the veg while the rice is soaking). Heat the ghee or alternative in a saucepan, add the cumin, cinnamon, bay leaf, cardamom pods and cloves and sizzle for 10-15 seconds. Then add the onion and cook until turning gold at the edges. Drain the rice and add to the saucepan with turmeric and salt. Cook for 1 minute, stirring. Add 400ml of water, then taste the water and adjust for salt. Bring to the boil, cover and reduce the heat to the lowest it will go. Cook undisturbed for about 12 minutes. Turn off the heat and serve when your’re ready. Don’t take the lid off before then! Wine Suggestion: A dry Riesling. We had a Grosset, Polish Hill 2007 from the Clare Valley. We’ve tasted this a few times and been underwhelmed but this one was a bit older and it really comes into its own with age. So if you have a recent vintage stick it in the cellar for a few years.